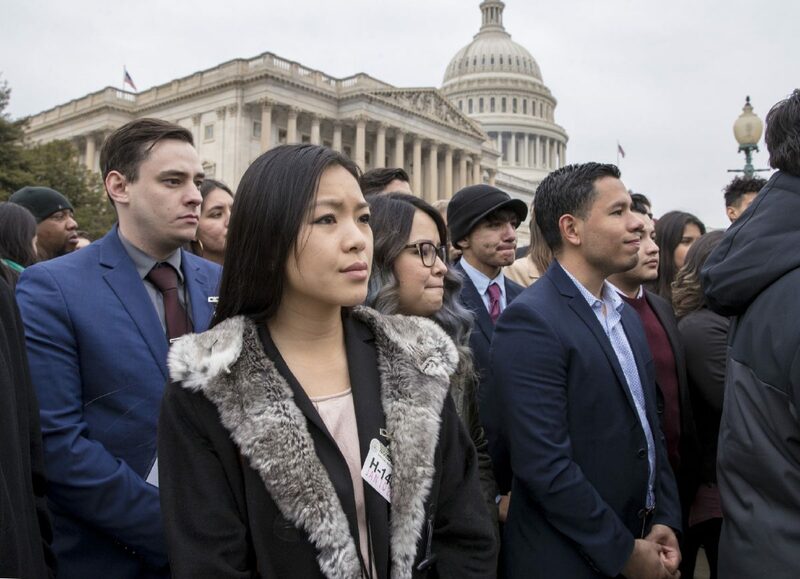 "Dreamers," people brought to the U.S. illegally as children, and other supporters of the Deferred Action for Childhood Arrivals program, listen as lawmakers speak at the Capitol in Washington, Wednesday, Jan. 10, 2018. Despite a federal court ruling delaying the end of the Deferred Action for Childhood Arrivals program, members of Congress continue bipartisan negotiations Wednesday to come up with a replacement for the program. The administration’s decision to end DACA, which was announced in September, was based on a “flawed” legal analysis, Alsup wrote in his decision. That ruling came down hours after a meeting between President Trump, U.S. House Appropriations Committee members and the Homeland Security Subcommittee to talk DACA which appeared to end with optimism from both the president and those attending the meeting. Trump criticized the court’s ruling Wednesday morning. “It just shows everyone how broken and unfair our Court System is when the opposing side in a case (such as DACA) always runs to the 9th Circuit and almost always wins before being reversed by higher courts,” Trump wrote in a tweet. 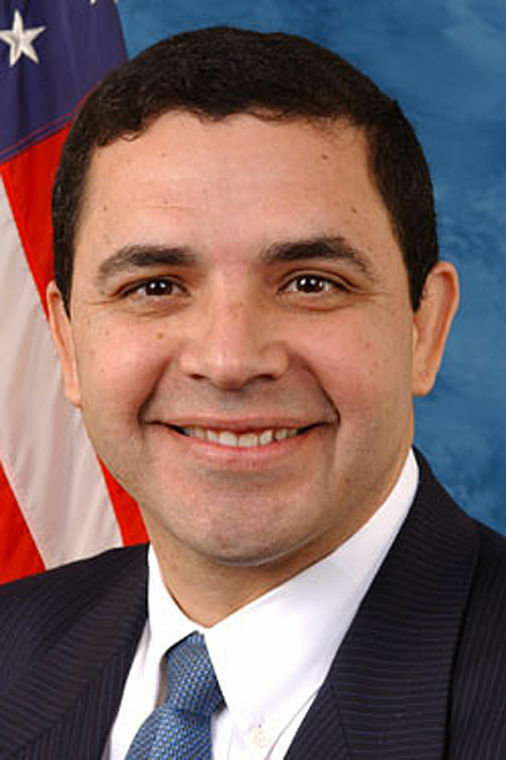 U.S. Rep Henry Cuellar, D-Laredo, said he thought the White House’s reaction to the ruling on DACA as “interesting,” given how talks went the day before. U.S. Rep. Vicente Gonzalez, D-McAllen, a member of the Congressional Hispanic Caucus, said he was concerned the ruling Tuesday night might give those in negotiations an excuse to slow things down, given there’s been a delay to the program’s end. But Cuellar, who characterized the Tuesday meeting between bipartisan members of congress and the president as “highly productive,” said the court’s ruling does not change the plan to get something done soon. “I think Vicente’s right it could have that impact, but the ones (who were in the negotiations) we still plan on getting this done by (Jan.) 19th — can we do it? — it’s going to be difficult but it’s possible,” Cuellar said. Cuellar said he and members who were involved in negotiations on Tuesday will be back at it again (Thursday) today with four topics as the focus — specifically a replacement for DACA, border security, chain migration, and diversity Visas. The congressman said these four topics are what he called “Phase 1,” of the negotiations — while Phase 2 negotiations, dedicated to talks on comprehensive immigration reform, would be held at a later time. Leaders of both parties met Wednesday in House Majority Leader Kevin McCarthy’s office to negotiate what Republicans called a timeline toward a deal. “March the 5th is sort of the ultimate deadline and we’d like to try to get organized so we can get to work. Everybody wants to get to a solution,” said Sen. John Cornyn of Texas, the GOP whip, as he headed toward the session. As the discussions drag on, some of those involved in the talks warned that the judge’s ruling could embolden opponents who want to delay any deal. “I’m worried that some might see this as not necessary now, or hold off longer,” said Sen. Jeff Flake, R-Ariz., as he entered Wednesday’s session. House Democrats protested the standoff by forcing procedural votes on the floor to push Republicans, who have majority control, to bring the DREAM Act forward. Some say they will withhold their votes on next week’s bill to fund the government unless it is included. The Tribune Washington Bureau contributed to this report.